Native Instruments have announced details of its long-awaited synth, Massive X. 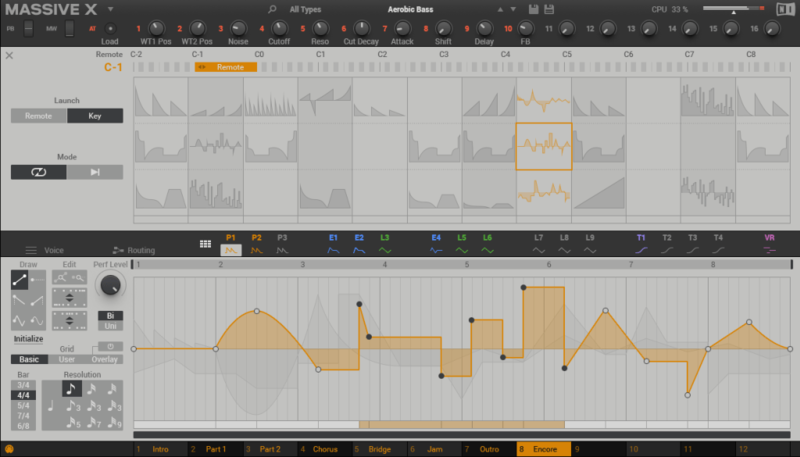 Scheduled to come out in June, the instrument - which is the follow-up to 2007's Massive - will have what Native has called a 'radically overhauled interface'. As well as 125 new wavetables within a pair of oscillators, the synth will also feature a new pair of phase modulation oscillators and a new comb filter, three Insert FX slots and more. The GUI has also been completely redesigned, referencing the multiple modulation options Massive is famous for along the middle strip of the synth. Given the complexity of the new Massive X, NI are slowly rolling out the details one at a time, starting to detail the features in a new blog post. Read Native's full blog post about the synth here. 12 years after its original release, Massive looks like it could reclaim the crowd as the most versatile soft synth on the market. Check out this step sequencer made from LEGO bricks. Roland have recently added the 303 to their cloud plugin service.